Imagine one fine day you wake up and realize that all you have to cover in a month is nothing but a thought, a mere perception. You have your exams coming in less than 30 days or so and you’ve got to complete 6-8 subjects without any knowledge of limit that what you have to cover. Does it not sound like a nightmare? NCERT has a comprehensive extension programme in which departments of the National Institute of Education, Regional Institute of Education, Central Institute of Vocational Education and field advisers’ offices in the states are engaged in activities. Several programmes are organized in rural and backward areas to reach out to functionaries in these areas. The organization provides advice and support for the improvement of school education. It also promotes and conducts research, experimentation of innovative ideas and practice. Remember how we used to take this syllabus as nothing but a burden? Well today we realize how it helps us set our goals and focus on something distinctively. As we know, personality development is one of the most important factors in this fast moving competitive world, a properly defined syllabus helps us achieve the same. It also helps us build our character and mould our character efficiently. Keeping that aside, it has a well effective system for the candidates to probate themselves against various aspects of life. It analyzes people on a fair basis, mainly based on their hard-work. The criteria of judging stands fair based on the fact how they let out a prescribed syllabus, same for everyone, supposed to be completed within the stipulated period of time. This lends us a helping hand to advance our focused mindset. The content of the CBSE Syllabus being the same, it helps us grasp a strong inclination towards a certain field or subject. This affinity further helps us decide our respective careers and establish a well-being on our own, for our own. At this age, distractions are very common. It wastes our quality time which comes as an obstacle in the completion of our task in the limited time. Good thing is that we’re given a particular target to be completed by a precise time limit, which assists us to assemble a proper schedule for managing our time impartially for all the respective subjects. Hence it helps us test and develop a strong willpower which is indisputably helpful in the long run. As a result of which, this improves our time management skills and makes us realize the importance of time, how it is one of the vital aspects of our lives. The mature self within us makes us realize the good and important factors of syllabus which dusts away the feeling of it being nothing but a nightmare. CBSE or the Central Board of Secondary Education is one of the most reputed education boards in India. Around 80% of the schools in India are affiliated to CBSE. CBSE was founded with an aim to raise the standard of education in India and to promote good education in India. The education system is so designed by CBSE that it offers a healthy and holistic education for all. Not only students but CBSE keeps its teachers and instructors also updated. The board organizes workshops, training’s and seminars for the teachers so that they can stay updated with the latest trends. The Board takes exams for classes 10 and 12 every year in the month of March and April. The syllabus for the exam gets released before the session commences. This is to ensure that the students are prepared as per the examination. CBSE releases three sample papers every year for each subject. The paper coming in final board exam follows the same pattern as provided in the sample papers. The sample papers give the students a good idea over preparation. The students in class 10 and class 12 are recommended to solve these question papers released by CBSE thoroughly. This will help the students to prepare themselves mentally and will give them enough time to work on their speed as well as accuracy. The last year question papers come very handy in your preparation. All the students are advised to solve the previous years papers as well as the sample papers so as be thorough in your revision. This way the students will become familiar with the pattern as well as the marks scheme and marks distribution. A student gets to know the exam pattern as well as the marking scheme followed in the exam. It gives students a fair idea on the difficulty level of the exam and they can prepare for that accordingly. Apart from boosting the confidence, it will help to improve over the student’ s accuracy and speed. By solving the sample papers a student can better judge his preparation level and weaknesses. Solving sample papers also help in improving the time management skills of the student. The practicals are as important as the theoretical exam. The main aim of any examination is not to test the cramming power of a student but to check how much knowledge has been gained. Therefore all the practical subjects are very important. The theory of the practical subject is 60% and the practical exam varies 40%. The experiments which are carried out in physics, chemistry, and biology are very important and help in concept clearance. The human mind tends to learn in a better way when it sees the things. Hence practical knowledge is very important for the students which will help them to visualize the concepts and the principles. As soon as the pressure of the final exam starts building, the students start preparing for their theoretical paper and tend to ignore the practical exam. But dear friends, practical too has good weight age and without scoring good marks in practical exam, you cannot secure good marks. The practical exam is conducted before the final exams start i.e. in February. The students have their viva voice paper along with performing the practical exam. Before performing the test, the students should have a proper knowledge of the experiment, the principle, and the expected outcome. The student must practice over the formulas and graphs. The lab manual and the documentation should be properly studied before the exam. If an experiment involves diagrams, that should also be practiced well. Practicing diagrams of the related experiment including the apparatus diagram will help you to get a better grip over the complete experiment. The student should be comfortable with each and every principle, theory and concept behind the experiment. While writing the documentation the student should every single detail of the experiment. And also should not forget to mention the conclusion at the end of the experiment. Be patient and remain calm & composed before the examination. In case you have any doubt, feel free to contact your teachers. You can download practical notes from our website which will help you score good marks in your practical examination. Let’s talk about the CBSE syllabus now. The syllabus contains all the detailed information regarding the topics and subtopics which will be coming in the academic year. All the chapters and the detailed topics are listed in the syllabus for that subject. In fact, if you are preparing for entrance exams such as AIEEE, IIT etc, the syllabus is the same for them too. CBSE releases syllabus for classes 9 to 12 every year with little updates as per the changing educational trend. The syllabus contains each and every information needed by the student as well the teacher which is required for the preparation. 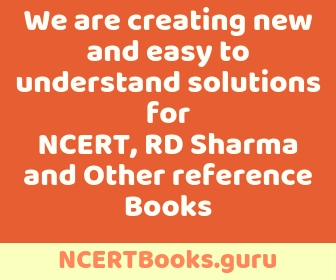 Here at NCERTbooks.guru we provide you with detailed information of the entire CBSE syllabus along with the marks distribution pertaining to each chapter of the subject. The student must be well aware of the syllabus and the marks distribution so that he/she should know how much effort should be put to gain good marks. The designing and publishing of books based on CBSE syllabus is done by NCERT. NCERT has complete authority over publishing and distributing the books. All the books prepared by NCERT follow the strict guidelines by CBSE and has all the material as per the CBSE syllabus. All the Board exams are based on this book. You can easily download all the CBSE books or NCERT textbooks from the link given below. Apart from board exams, even the entrance exams such as AIEEE, UPSC are totally based over NCERT textbooks. Each and every topic is explained in a very detailed and interactive way. Download the latest and high-quality books from NCERTBooks.guru absolutely free of cost. All the books have been converted into PDF. Hence, they can be viewed over any device. Stay connected with us to get the latest CBSE updates and study material with us. CBSE releases the date sheet for the exams tentatively in January every year for the examination held in March-April. The date sheet consists of all the exam schedule as well as the timings for the examination of classes 10 and 12. The subject codes are mentioned in the examination and the same has to be written in the exam sheet by the student. The date sheet is published on the official website of CBSE which is cbse.nic.in. The admit cards of board examination 2019 will be released for classes 10 and 12 in February. The same can be collected from the respective schools. The admit card contains details as provided by the school authorities. The final results will be declared in the month of May-June tentatively. All the students who are a part of the schools affiliated with the Central Board of Secondary Education are mainly assessed in two major areas i.e. Scholastic and Co-scholastic. The full academic year is divided into two terms namely term 1 and term 2. There are two types of test are conducted to assess the students based on their academic subjects. There are mainly two assessments which as FA or Formative assessment and SA or Summative Assessment. Formative assessments are conducted in the schools for the primary classes in the form of oral tests, homework, dictation, storytelling, class test, projects & assignments, quiz, elocution, memory test etc. this is mainly an oral exam. In SA’s the students are tested on paper and pen i.e. it’s more like a written examination. These tests are internally conducted by the school authorities. The summative assessment is conducted at the end of each term (say a semester) and is conducted two times a year.